Walk through 2,000 years of history and see how the city and its citizens have evolved. Barcelona is a vast living museum which you'll understand better if you visit the different museums that are part of the Museu d'Història de Barcelona. (MUHBA). The MUHBA has five museums which you can visit in the order you prefer. You'll find a 4,000 m2 archaeological site under the square where the Conjunt Monumental de la Plaça del Rei stands. 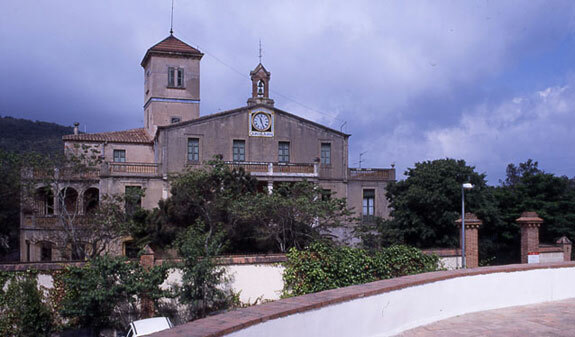 You'll be able to see the historic remains of the Roman colony and the episcopal ensemble of old Barcino. Visit a 19th-century farmhouse and poet's house at the Museu-Casa-Verdaguer, which is dedicated to the memory of Jacint Verdaguer, one of the most important Catalan writers of the 19th century. 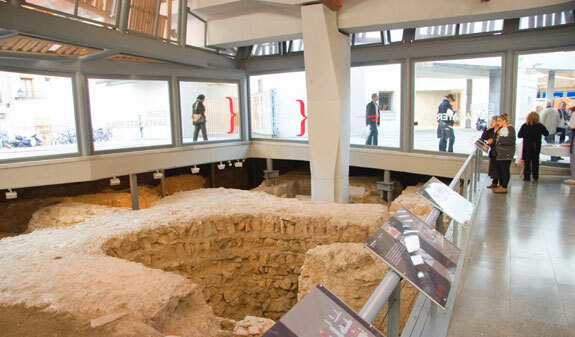 Under Santa Caterina market, you'll find the Espai Santa Caterina, an archaeological space where you'll discover how this part of the city has evolved from prehistoric times to the present day. The Centre d'Interpretació del Call is the best place to start if you want to find out how Barcelona's Jewish community lived. 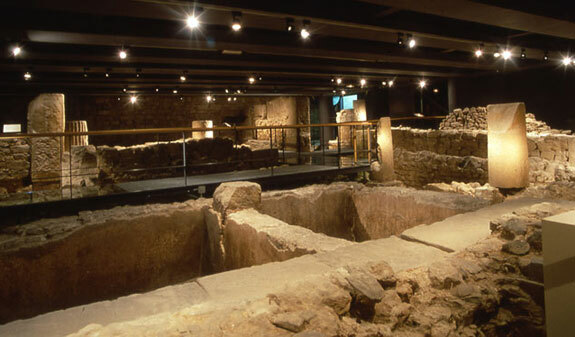 You'll find all the information you want about Barcelona's old Jewish Quarter and see some of the objects recovered from the archaeological digs, such as ritual lamps, cooking pots and tombstones. If you want to understand how the people of Barcelona lived through the 1936 air raids during the Spanish Civil War, you can visit Refugi 307, an air-raid shelter which bears witness to the events and saved many members of the local community. Ticket collection point: Museu d'Història de la Ciutat de Barcelona (Plaça del Rei). Conjunt Monumental de la plaça del Rei: plaça del Rei, s/n. From Tuesday to Saturday, from 10 a 19h. Sunday, from 10am to 8pm. Monday closed. Espai Santa Caterina: c/ Joan Capri. From Monday to Saturday, from 7.30am to 3.30pm. Sunday closed. Centre d'Interpretació del Call: placeta de Manuel Ribé, s/n. Wednesday and Friday, from 11am to 2pm. Saturday and Sunday, from 11am to 7pm. Monday closed. Refugi 307: c/ Nou de la Rambla, 175. Sunday, guided visits at 10.30am in English, at 11.30am in Spanish and at 12.30pm in Catalan. Advanced booking is required: 932 562 122. Vil·la Joana (Casa Verdaguer Museum): carretera de l'Esglèsia, 104. Thursday, from 10am to 2pm. Saturday, Sunday and holidays, from 10 to 5pm. Via Sepulcral Romana: plaça Vila de Madrid. From Tuesday to Friday from 11am to 2pm. Saturday and Sunday from 11am to 7pm. Monday closed. Domus de Sant Honorat: c/ de la fruita, 2. Sunday from 10am to 2pm. Temple d'Agust: c/ del Paradís, 10. Monday from 10am to 2pm. From Tuesday to Saturday from 10am to 7pm. Sunday from 10am to 8pm. 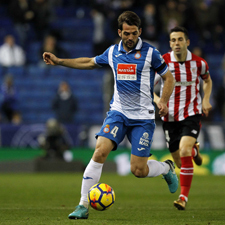 Turó de la Rovira: c/ Marià Labèrnia s/n. Wednesday, Friday and Saturday from 4.30pm to 8.30pm. Sunday from 10.30am to 2.30pm and from 4.30pm to 8.30pm. From 1/10: Wednesday and Friday from 10am to 3pm. Saturday and Sunday from 10am to 3pm. Porta de Mar and port thermal baths: Centre Cívic Pati Llimona. c/ Regomir, 7-9. Tuesday and Thursday from 10am to 1pm. Wednesday from 5pm to 8pm. Saturday from 10.30am to 1.30pm. Monday and Sunday closed. Free admission to all the MUHBA museums open on Sundays after 3pm. Free admission to all MUHBA museums on the first Sunday of the month, except refugi 307. Free entrance: under 16 years old. No audioguide service available on the first Sunday of the month and every Sunday from 3pm. The Conjunt Monumental de la Plaça del Rei, Espai Santa Caterina and Centre d'Interpretació del Call are accessible for visitors with reduced mobility.